Raj Thackeray’s MNS won’t be a part of the Opposition’s alliance in Maharashtra. At least as far as seat-sharing goes. With Congress, the biggest Opposition party, expressing strong reservations over the inclusion of Thackeray’s outfit in the alliance, the Sharad Pawar-led NCP has dropped the plan to accommodate MNS from its quota of seats. In a bid to engineer a split in the Sena’s traditional vote bank in the Mumbai Metropolitan Region and Nashik, the NCP state leadership had earlier harboured a plan to offer MNS the Kalyan Lok Sabha seat from its quota. But there was intense opposition from the Congress. The party has given the ticket to Babaji Balaram Patil, who is a corporator in the Thane municipality. Patil, however, has his task cut out. Even as the NCP controls two of the six Assembly belts in the constituency, he will go into the election as the underdog. Shiv Sena’s sitting MP Dr Shrikant Shinde, son of state minister Eknath Shinde, had won in 2014 by over 2.5 lakh votes, and is being seen as a favourite to win this time as well. Meanwhile, names of three of the five sitting MPs of the party — Supriya Sule (Baramati), Udayanraje Bhosle (Satara) and Dhananjay Mahadik (Kolhapur) — figured in the first list of 12 names. Former state NCP chief Sunil Tatkare will contest from Raigad, which he had narrowly lost in 2014. Former minister Rajendra Shingane will contest from Buldhana. Incidentally, Raju Shetti’s Swabhimani Paksha had been angling for this seat. In Jalgaon, the party has nominated former minister Gulabrao Deokar, whose name had earlier cropped up in the Gharkul housing scam. 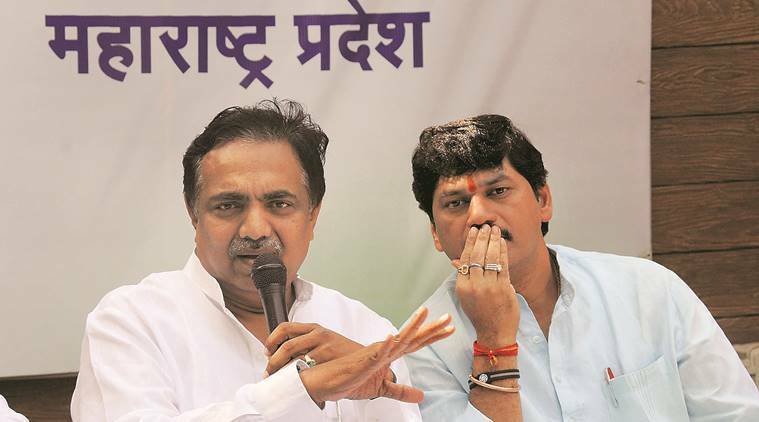 Former MPs Sanjay Dina Patil and Anand Paranjape have been renominated from Mumbai North-East and Thane, respectively, while Rajesh Vitekar will contest from Parbhani. With no minority face nominated in the state, the party announced the candidature of Mohammed Faisal in neighbouring Lakshwadeep. Also, as announced earlier, the party has backed the candidature of Shetti from Hatkanangle, and won’t field any candidate on the seat. While Pawar’s grandson Parth is the frontrunner to contest from Maval, the party is yet to formally announce his name. In Bhandara-Gondia, former Union minister Praful Patel’s wife Varsha is expected to be fielded. Sharad Pawar, meanwhile, held deliberations to finalise the party’s candidature from Beed. Party legislator Amarsingh Pandit is one of the names being considered for the seat.